Trending at AU $100.38eBay determines this price through a machine-learned model of the product's sale prices within the last 90 days. What’s in the box?. Supported Bluetooth profiles A2DP(v1.2), AVRCP ABS Only. Hands Free Profile (v1.6), Headset profile(v1.2), phone book access profile(v1.0). Bluetooth compliance Bluetooth version 4.1. 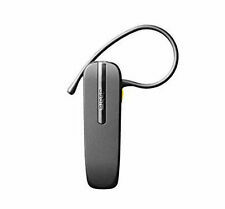 Jabra BT 135 bluetooth cordless headset. Never used. Trending at AU $90.40eBay determines this price through a machine-learned model of the product's sale prices within the last 90 days. 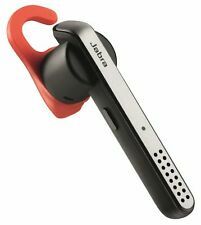 Jabra Classic Mono Bluetooth Headset Red for iPhone Andriod Pickup Available. Pickup Available. Our branch located in Haymarket NSW 2000 and Hurstville NSW 2220. 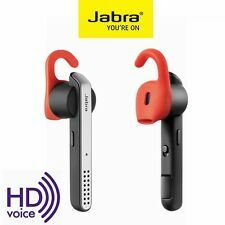 4 out of 5 stars - Jabra Classic Mono Bluetooth Headset Red for iPhone Andriod Pickup Available. 4 product ratings4 product ratings - Jabra Classic Mono Bluetooth Headset Red for iPhone Andriod Pickup Available. Jabra Boost is easy to use. You never need to worry about running out of battery. No more running out of battery when you are on the go. EASY TO USE. EVER SO LIGHT SHELF WEAR TO BOX. Lightweight comfort with adjustable ear hook. With a UC-compatible dongle, you can transfer calls from your softphone to your smartphone using the Jabra Stealth UC. Earpiece : Single. Earpiece Design : Earbud (In Ear). 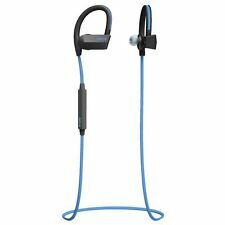 1x Jabra Stealth headset. 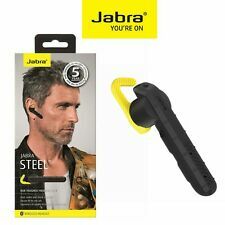 Jabra Steel Bluetooth Headset Wireless NFC Dust Water Shock resistant IP54 Black in new new condition. Pick up in Hornsby area of Sydney. Trending at AU $103.89eBay determines this price through a machine-learned model of the product's sale prices within the last 90 days. JABRA STORM. 1 x Jabra Storm. Wind Noise Blackout shields your conversations outdoors and in windy conditions and Noise Blackout removes ambient noise to ensure crystal clear conversations. With Jabra Storm you don’t have to worry about running out of battery when on the go. 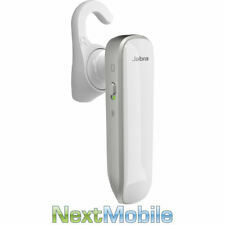 Jabra Boost Bluetooth Headset - White. You never need to worry about running out of battery. The Jabra Boost is small and slim, it gives you all the power you need. No more running out of battery when you are on the go. Discreet in size, the Jabra Boost Headset with Bluetooth wireless technology has all the latest features in a robust and elegant design. The Digital Signal Processing (DSP) gives great results to the call quality and makes your voice heard clearly despite of the surrounding noise. Jabra Steel is an industrial strength headset made for trade workers. JABRA STEEL WIRELESS HEADSET. Keep your smartphone in your pocket. It’s even shock resistant, so it can take a drop from up high. JABRA BOOSTWhite. Jabra Boost is easy to use. You never need to worry about running out of battery. The Jabra Boost is small and slim, it gives you all the power you need. No more running out of battery when you are on the go. JABRA STEALTH MONO HEADSET HD SOUND WITH NOISE REDUCTIONAdvanced Noise Blackout™ technology ensures clear, noise-free calls. Dual microphones reduce background noise, making you easy to hear. The weight of the headset is perfectly balanced. As soon as we find out the status, we will let you know. This code covers Region Coding. These accessories may not work in your Country. The Caribbean. New Zealand. Depending on availability and your location. 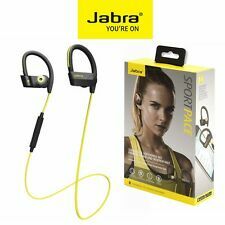 Manufacturer: JABRA. Office Products. Printers & Scanners. We’re here to help. More about Warranties. Just leave your smartphone in your pocket. Noise Blackout reduces background noise from your conversations and together with High Definition voice, you are ensured of crystal clear conversations at both ends of the call. 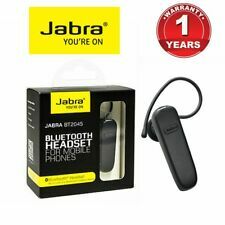 JABRA STEEL BLUETOOTH HEADSET BLACK Bluetooth Mono Headset Compatible with any Bluetooth enabled device. Bluetooth Mono Headset Compatible with any Bluetooth enabled device. 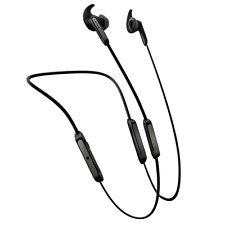 Description The Jabra Steel Headset features a single in-ear earbud with an ear-hook fit. It incorporates Bluetooth technology and is compatible with a multitude of devices including Apple, Amazon, and Samsung products. The headset allows connections via USB, Micro USB, and 3.5mm Jack and is waterproof, making it great for use in all conditions. It features a rechargeable battery, a built-in microphone, noise and echo cancellation, and HD voice input. 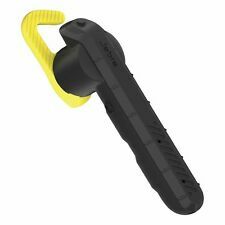 UPC 5707055041051 Color Yellow Non-Domestic Product No Model Steel Compatible Model Universal Fit Design Ear-Hook Features Built-In Microphone Microphone Built-in Compatible Brand For Apple Wireless Technology Bluetooth Type Headset Colour Black Connector(s) Micro USB Brand Jabra Mo. 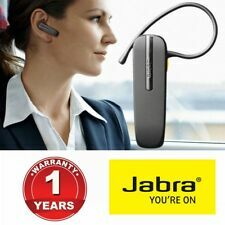 Jabra 2045. Item model number. < span class = notranslate ' > 9.4 x < span class = notranslate ' > 9.2 x < span class = notranslate ' > 4.4 cm. This headset Apple Iphone 4\4S\5\6\6plus-compatible to answer calls. Wireless Technology Bluetooth. Connectivity Wireless. Earpiece Single.